Xup guys am back again! Wow! MTN at it again! I don’t really know the plans MTN are trying to unveil but the plans seems to be hidden and it entails: 500MB, 100MB and 1GB plans. Hmm, that’s not where am heading to. So you can now get free 500MB from MTN network to browse, Surf and download till it get exhausted. This Free 500MB can be used on PC, iPad, iPhone, Android and any other devices that can connect to the internet. It can be shared on Hotspot and even transferrable. It is a normal data. Just go to your dial pad or phonebook. Then dial *449# and reply 1 for free 500MB data and to make it easier, just dial *449*1#. 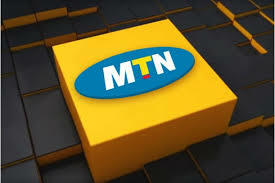 Immediately, the 500MB will be activated on your MTN line and the data balance can be checked by dialling *559*4#. Note: Sometimes, it might say you are not eligible but keep dialling till you get it and make sure you dial in a stable network coverage area or better still, use another MTN sim. Stay tuned, more Goodie’s on the way!